These are the words of Nicola Cesare Baldrighi, President of PLAC and of the Grana Padano Protection Consortium. For today’s visit, he has asked one of the oldest PLAC employees, who is now retired, to be our guide and tell us a few anecdotes. So, here we are with Martino Bergamaschi, whom we had previously met during the EXPO exhibition where he was one of the cheesemakers involved in Grana Padano production at the cheese plant within the Triulza dairy farm especially created by the Protection Consortium for the universal exhibition. Martino was born in the countryside; his father worked at the PLAC dairy, as did two of his uncles. At the age of 25 it was his turn to join the dairy. He always really liked it there and started working in production straightaway, with his hands in the milk. 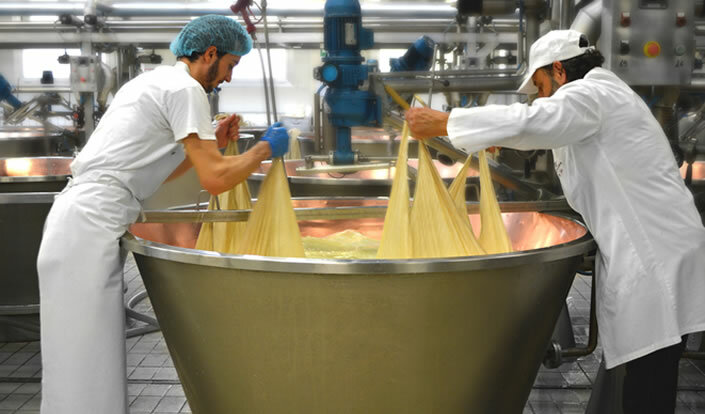 During the cheese production process, the various stages are dictated by very precise timescales that absolutely have to be observed. Yet I never got bored, and it felt a bit like working in the kitchen of a restaurant: from the live raw material, the milk, to the finished product. Of course, in restaurants the ageing of the cheese doesn’t come into it. As we speak, we walk into the dairy where Martino is literally besieged by his old workmates and he begs them to let him take the curd out of one of the cauldrons. He then goes on to tell us that he has always viewed PLAC as a foreword-moving dairy which conducts research and strives for expansion - something that is extremely important to him and has always given him a sense of confidence and the drive to do the best possible job. 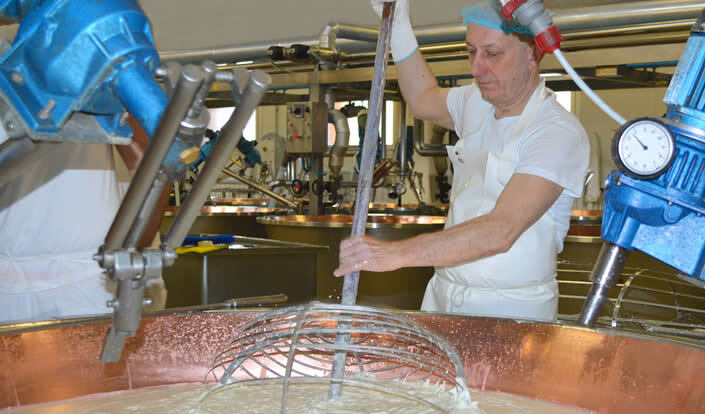 He hopes that the new generation of cheesemakers currently employed here have the same degree of passion for the work as he had, and that they always feel they are an essential part of the production process.